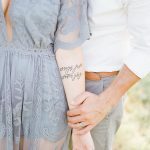 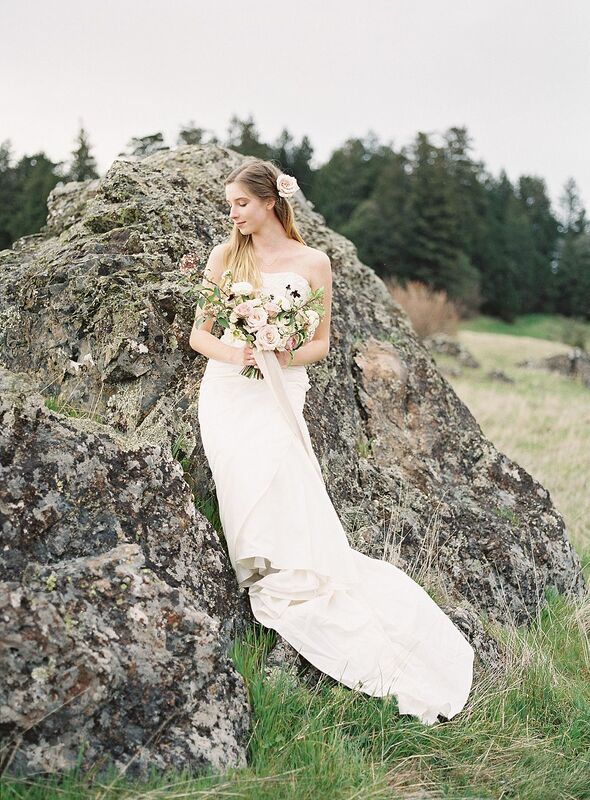 Sweet Heirloom Bridal Session ..
Our next inspiration is nestled in the sweeping California hills and captured by Stephanie Gan Photography! 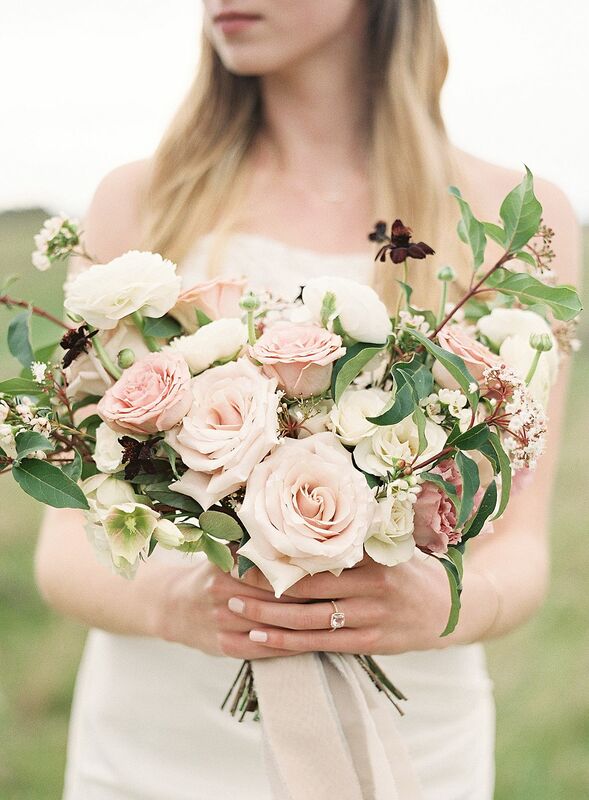 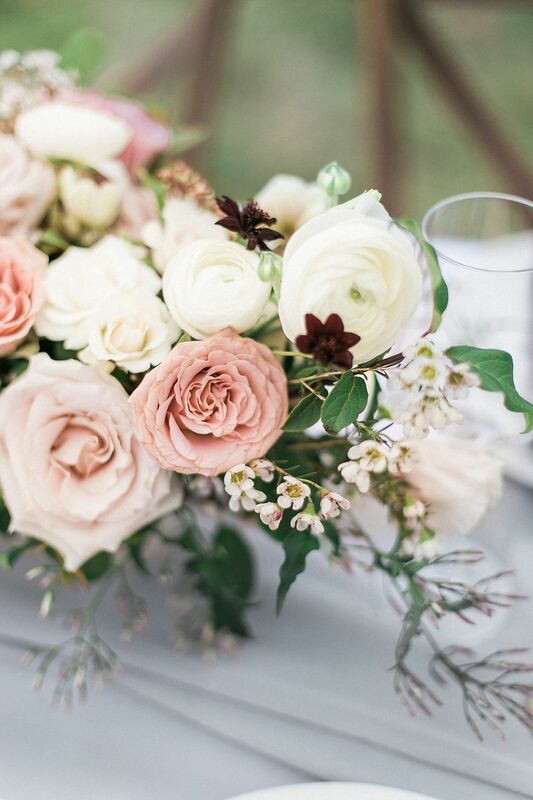 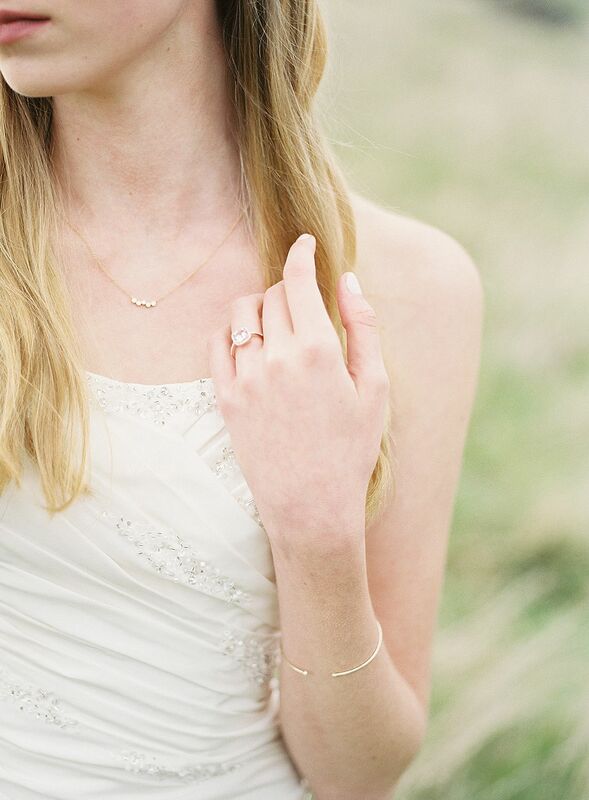 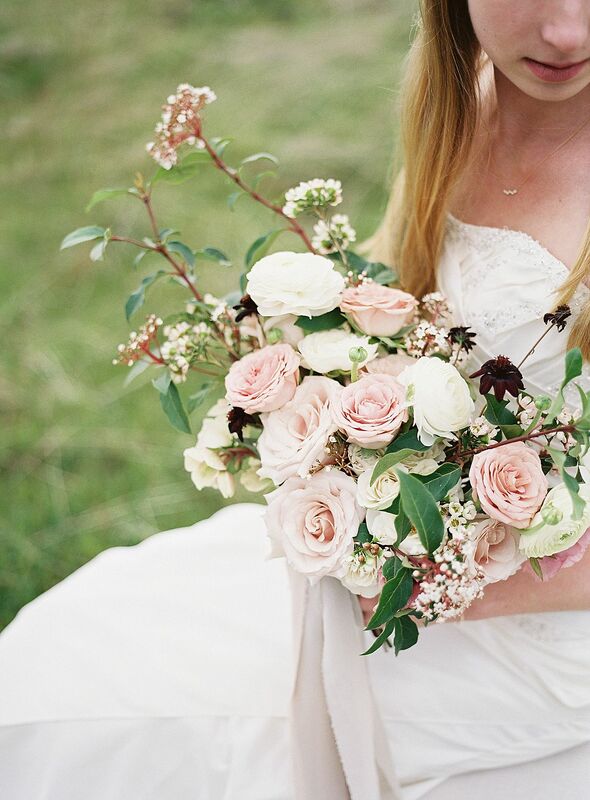 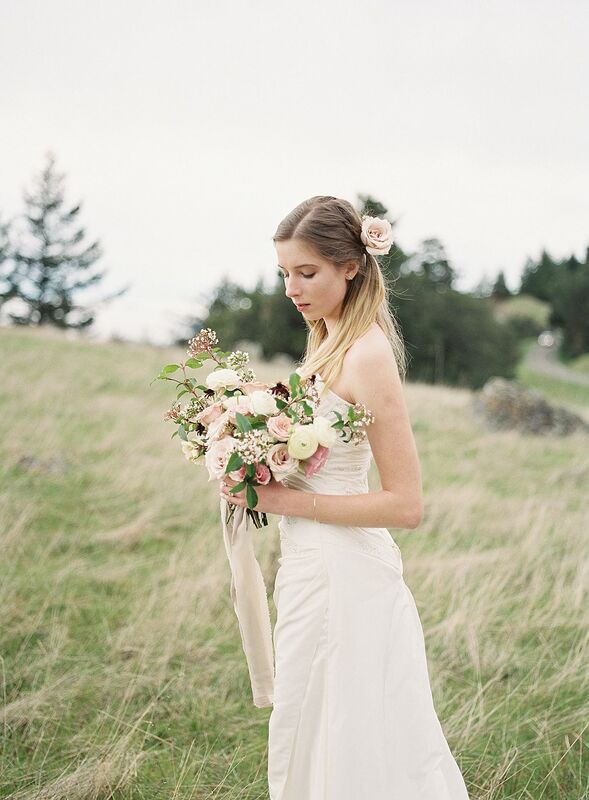 The delicate blush and burgundy palette made a lovely compliment to the stunning landscape and subtle bridal jewelry. 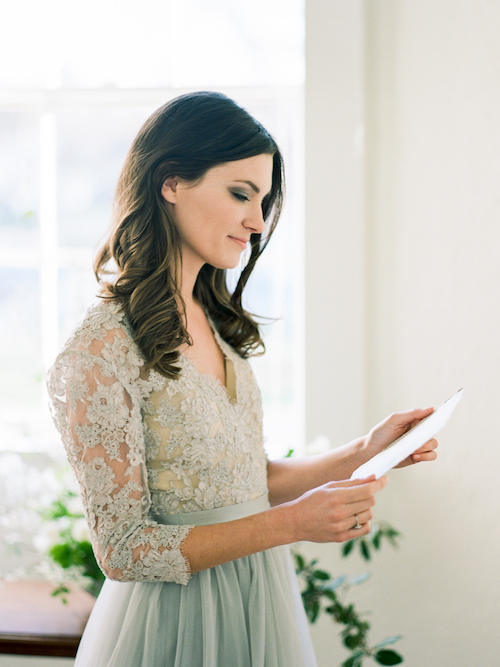 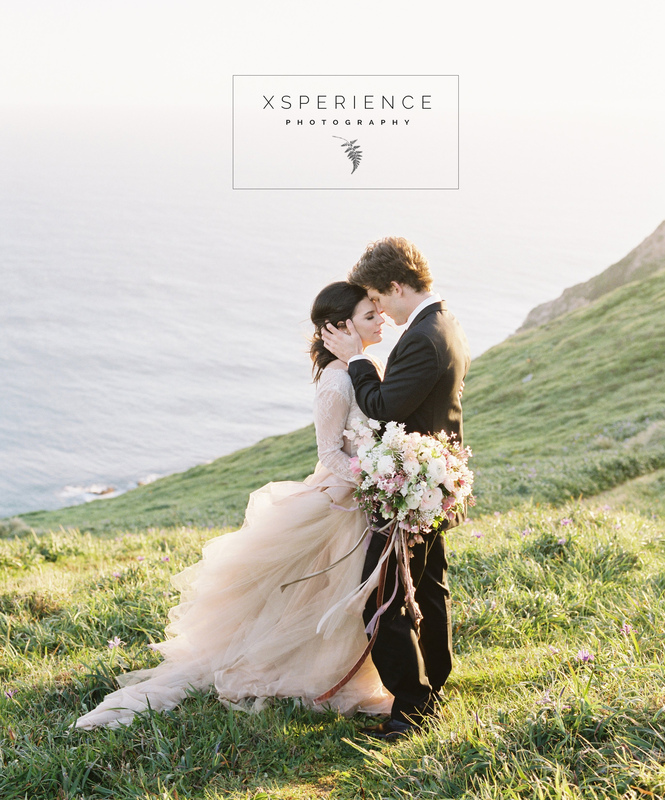 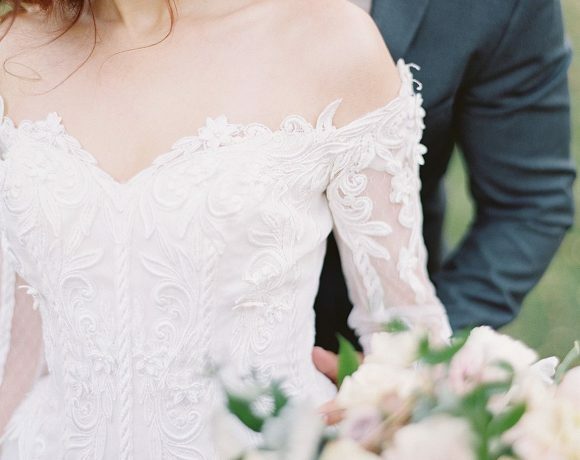 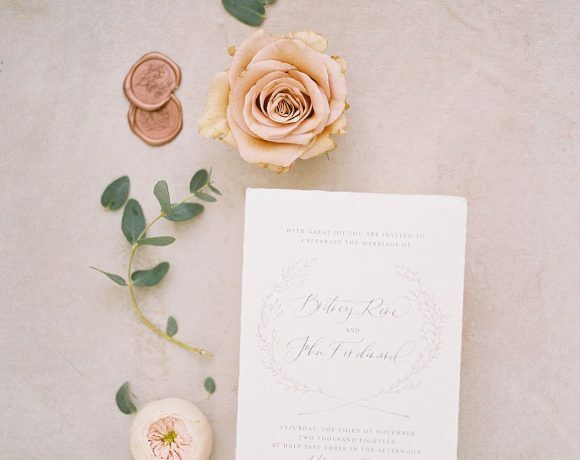 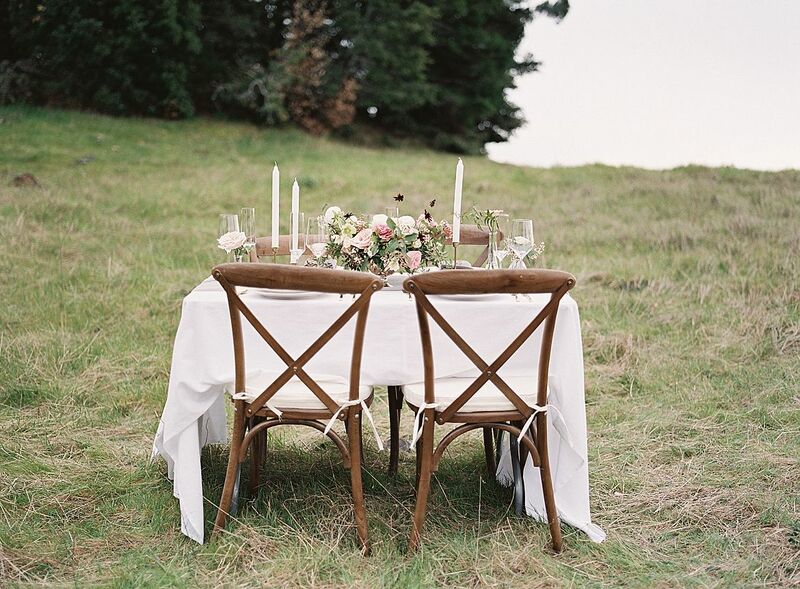 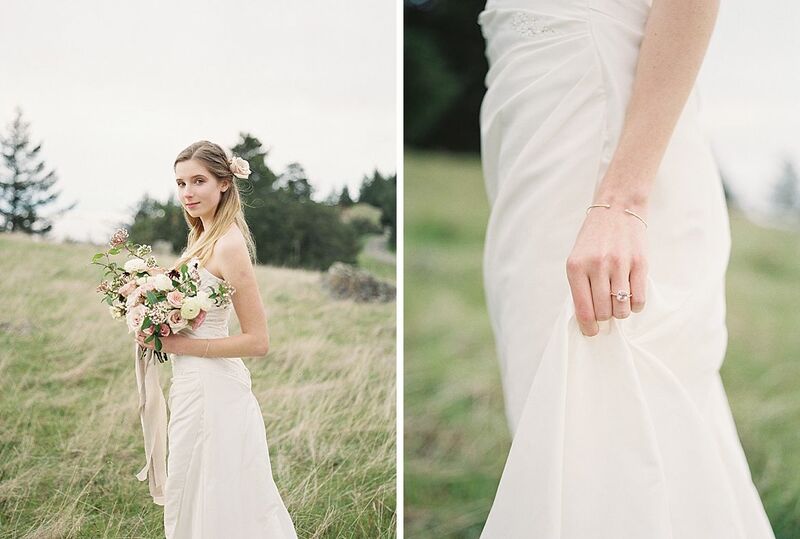 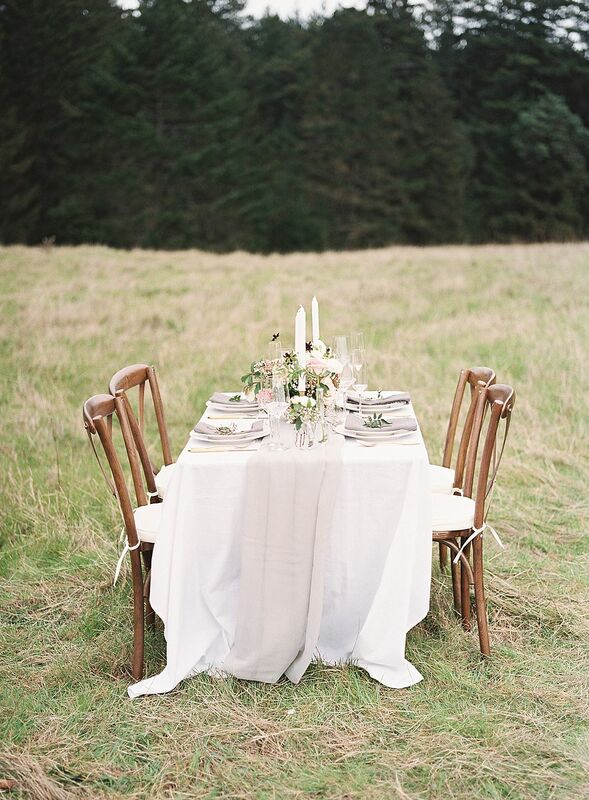 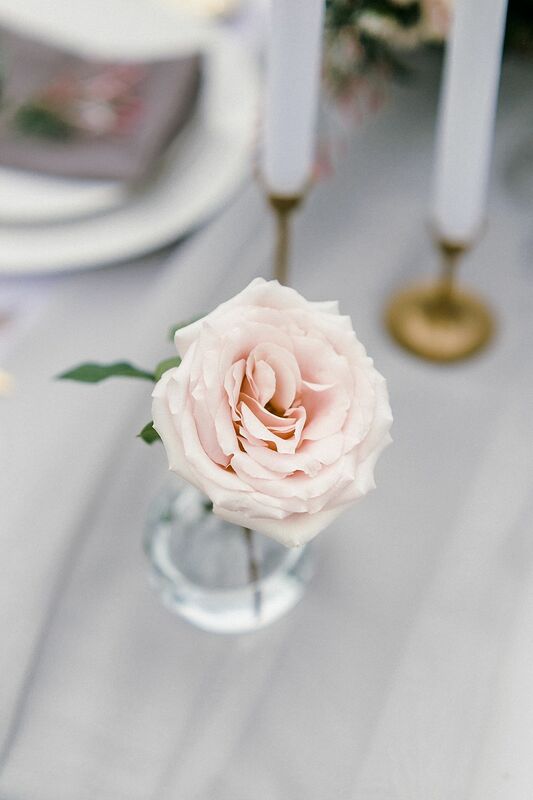 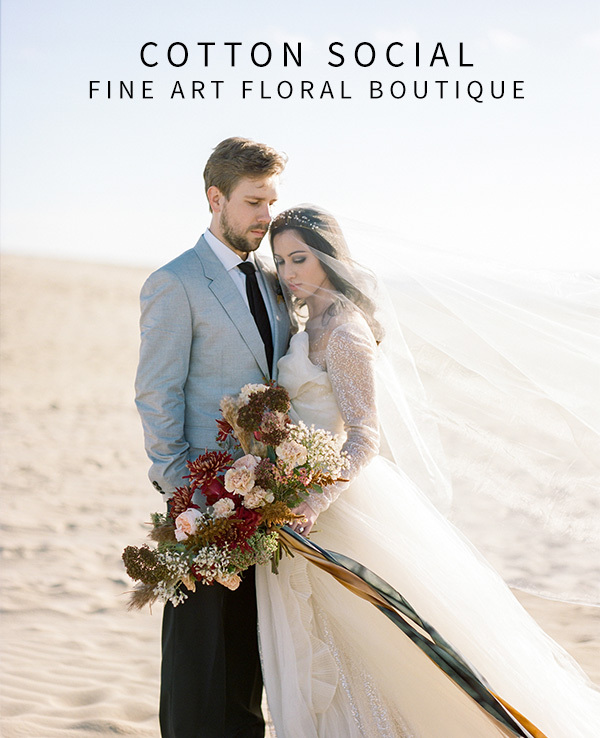 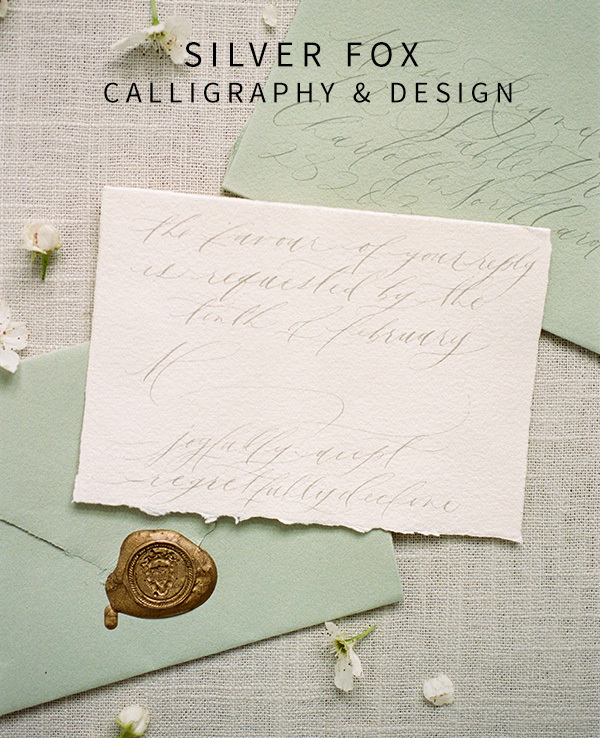 It has me daydreaming of windswept grass and subtly salted air—what a beautiful vision of wedding loveliness! 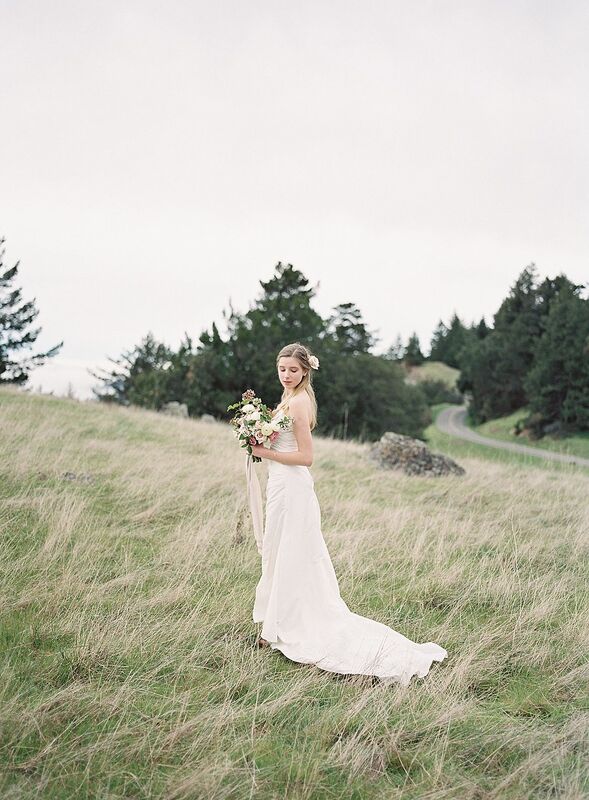 “The hills found in Marin County of Northern California, are iconic for their natural beauty—soft, windblown grass and an endless view of the blue ocean. 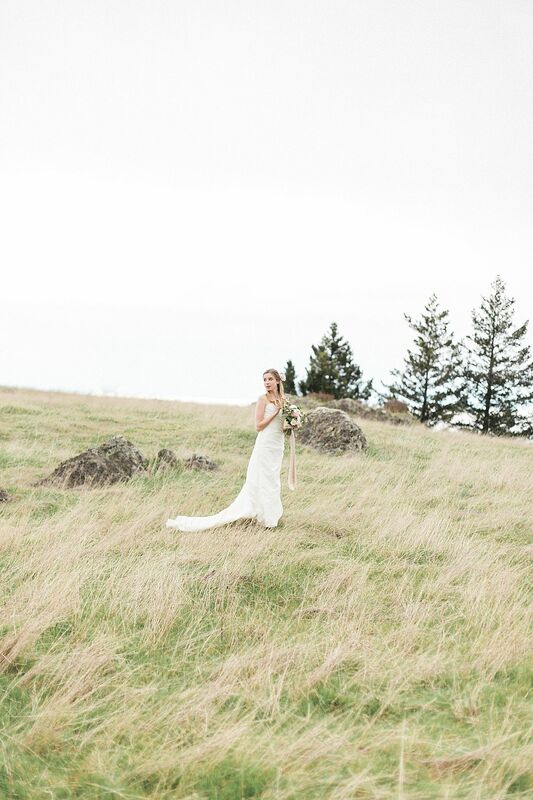 This beautiful, unadulterated setting that fills the landscape was what motivated this bridal inspiration shoot. 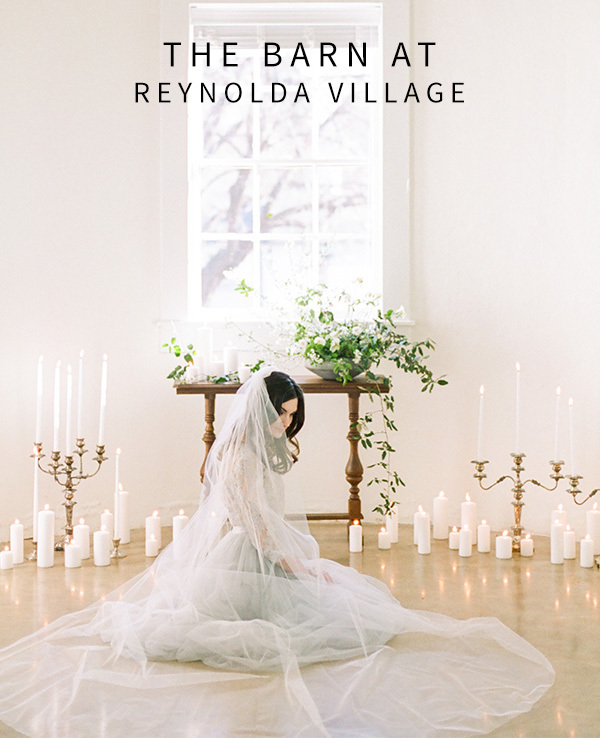 We created a scene of a young, nervous bride, who is delicate and raw in stature, yet is entering a stage of life of commitment and maturation. 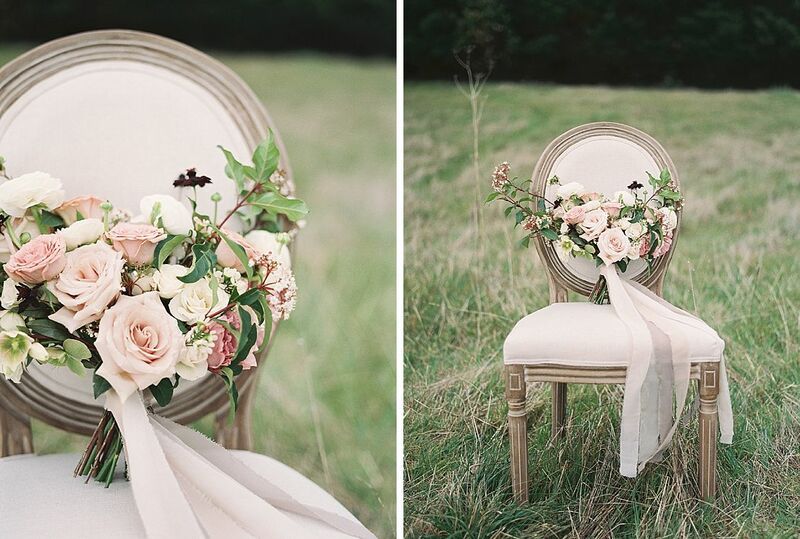 Thus, we intentionally chose soft colors to reflect her disposition, yet subtly dressed with mature colors of mauve and grey. 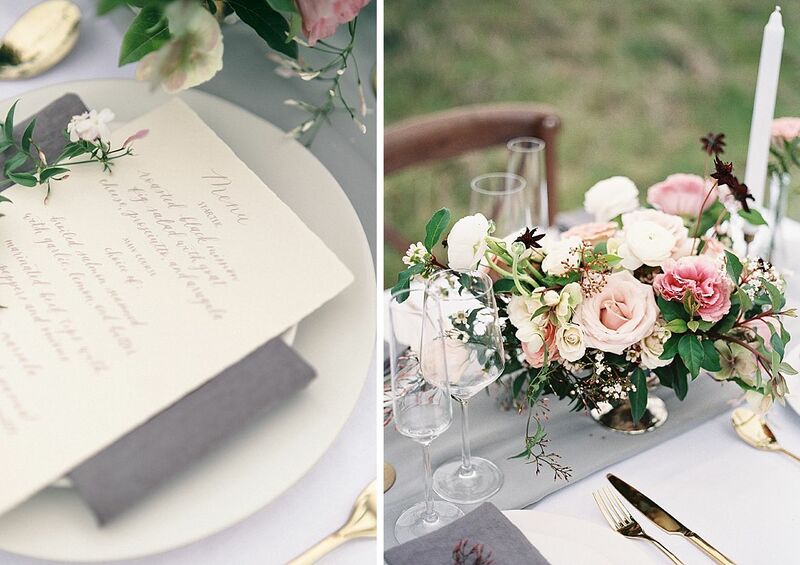 We focused on a soft look when curating fabrics and florals, with hints of bold hues. 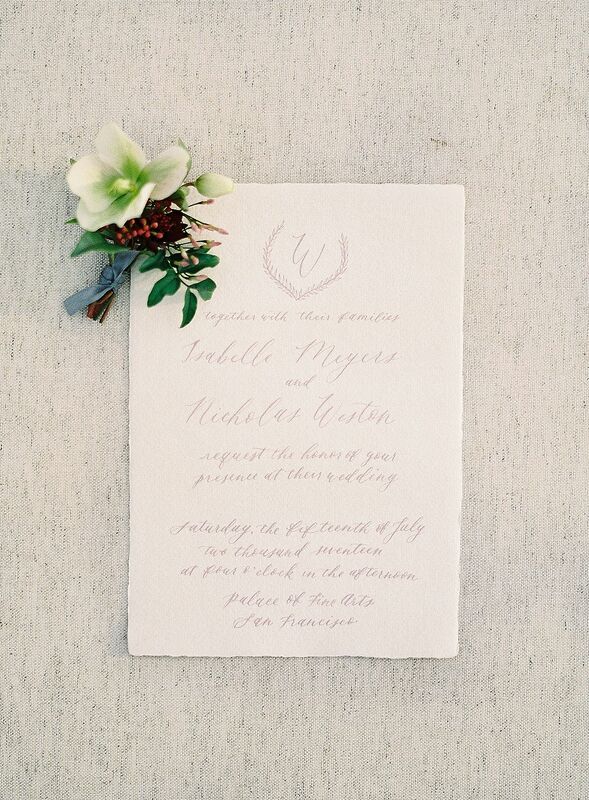 The invitation suite was carefully handwritten and drawn on handmade, textured paper with a bold mauve ink to complement the delicate paper. 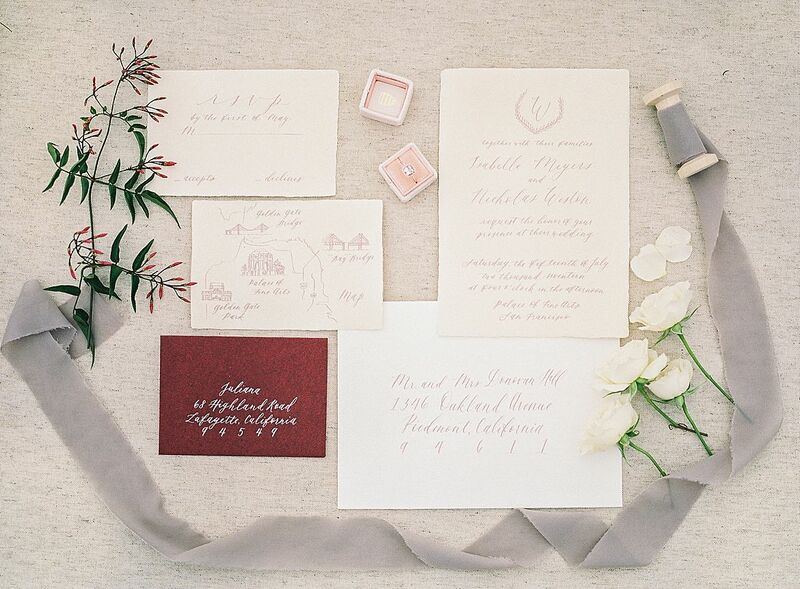 An accent color of dark burgundy was used in the floral designs to create a mature look. 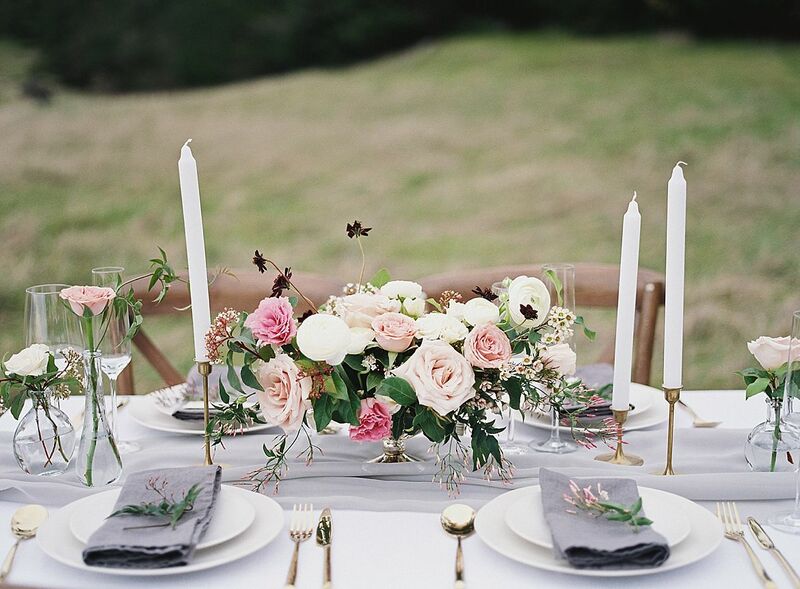 It also balanced perfectly with the softer tones of the arrangement, along with the grey napkins placed on the simple white plates. 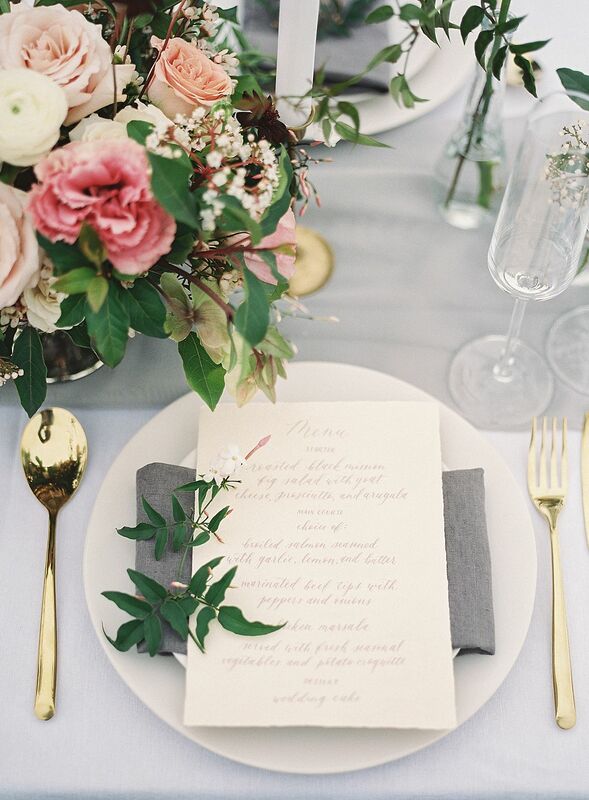 Gold flatware and white taper candles accompanied the white plates, and provided a polished finish to the table design. 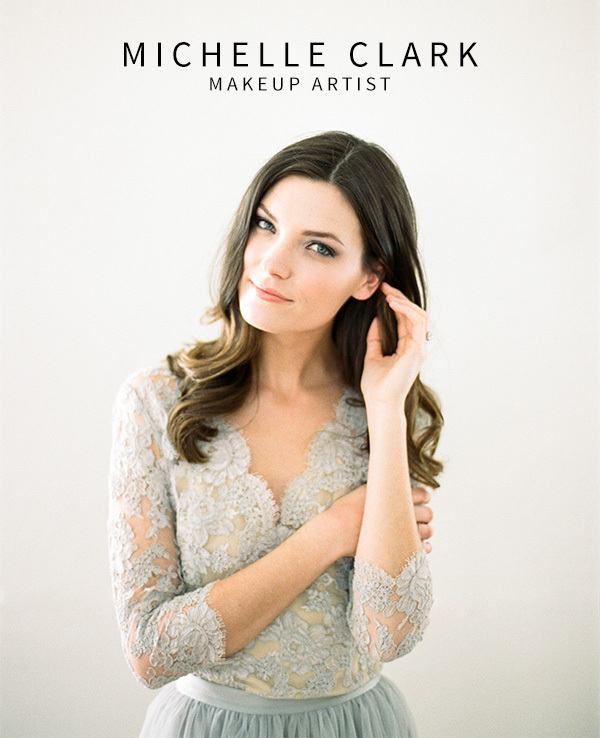 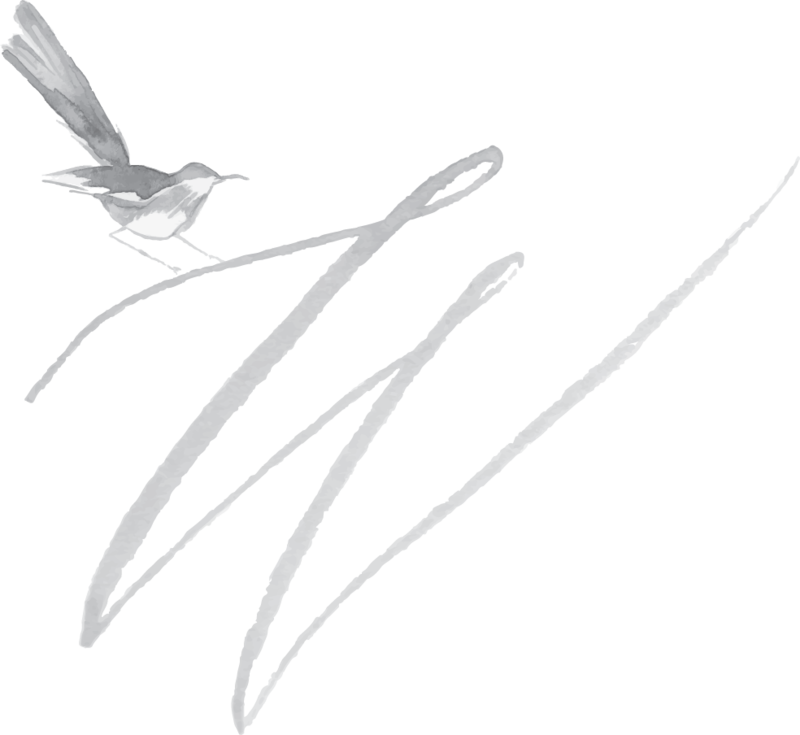 It was such a pleasure working with such awesome people and to be featured on The White Wren!